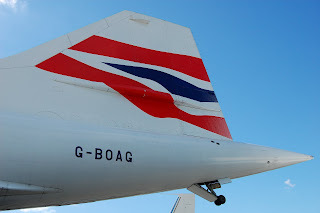 G-BOAG is one of British Airways' 7 Concordes. It has been at the Museum of Flight since its last flight in 2003. It remains sleek and impressive. It saddens me to concede that the era that allowed the development and commercial service of an aircraft like the Concorde is long past.